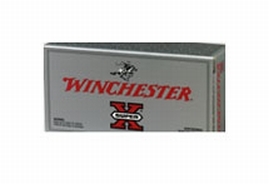 Winchester Ammo XP12 Super-X Smokeless Blank 12 Gauge 2.75 25 Bx| 10 Cs in. By buying this item you are declaring that you are at least 18 years of age (if purchasing rifle ammunition), 21 years of age (if purchasing handgun ammunition), and that there are no Federal, State or local laws prohibiting you from purchasing ammunition. This cleanburning smokeless blank produces a loud audible report for training and signaling settings.